Their Summer clothes collection is all about bright colours, adorable outfits and thoughtful details. Our vibrant range includes t-shirts from only £2, gorgeous dresses from £8 and more. Bring on the holiday season. 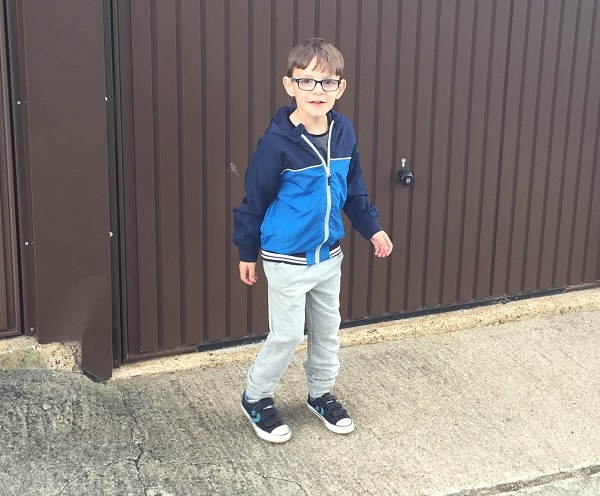 The practical, but on trend designs are perfect for getting out and about with the kids this summer. So, starting off with the youngest, Joseph was sent a 3-piece-set to model in. 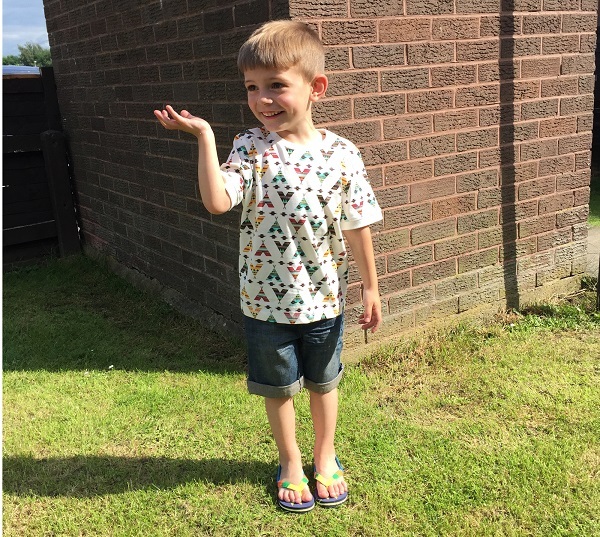 The light blue t-shirt with lobsters printed on and cute words such as 'smiler' and the apt 'nipper' too. The shorts come in navy and work so well against the light blue of the top. the waist is elasticated for comfort and fit and they are a good length, without being too short. Coming complete with a cute white and navy 'Little Nipper' bib which just coordinates so well. 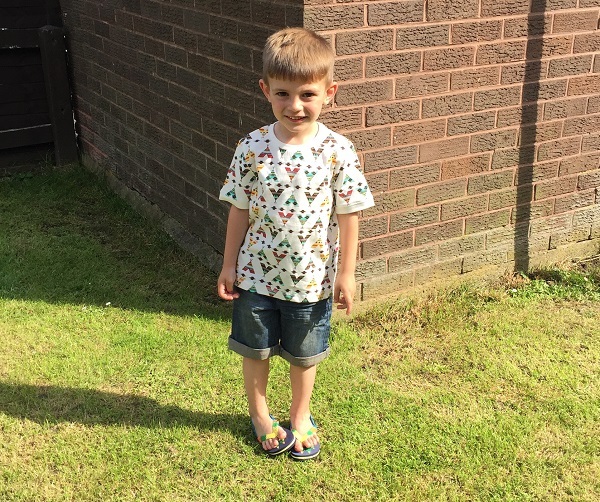 Charlie was sent this adorable outfit of a t-shirt, denim shorts and some flip flops. Starting off with the t-shirt, it a beautiful tee-pee design, loads of varying coloured tee-pees on a cream t-shirt. I love this design, it is just super summery. Charlie loves picking out his favourite tee-pee from the top too. The t-shirt is accompanied by a pair of cute denim shorts. I do love jeans but they're too warm for summer, denim shorts work so much better and look great too. 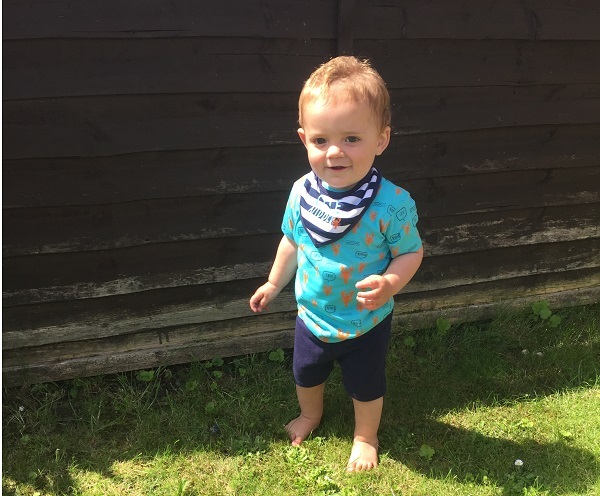 They have an adjustable waist line which is perfect as Charlie has a slim waist, and they have pocket and fold-over hem detail to make them uber cute! Finally, on to the flip flops. Charlie loves these! 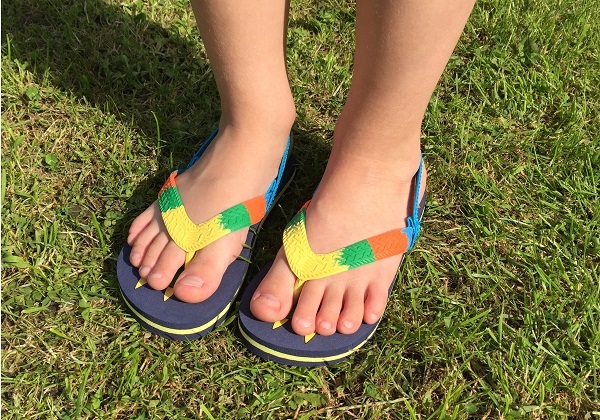 These flip flops are great for walking, and playing, in the warm weather as they have a strap around the back to stop them from falling off. The bright colours are just adorable and the thick sole gives them extra comfort when walking in. 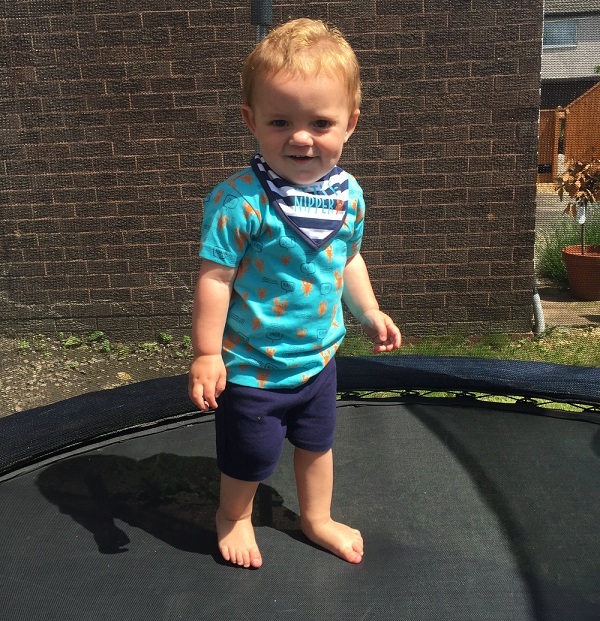 For Thomas, we were sent an outfit for when the real British summer hits. You know, the cold and damp summer that we usually have! A lovely pair of grey sweat pants and a rain jacket to protect from the weather elements. The jacket is beautiful and has coordinating blue and light blue colours to it. With pockets and zip detail, it also has a hood for when the rain hits. 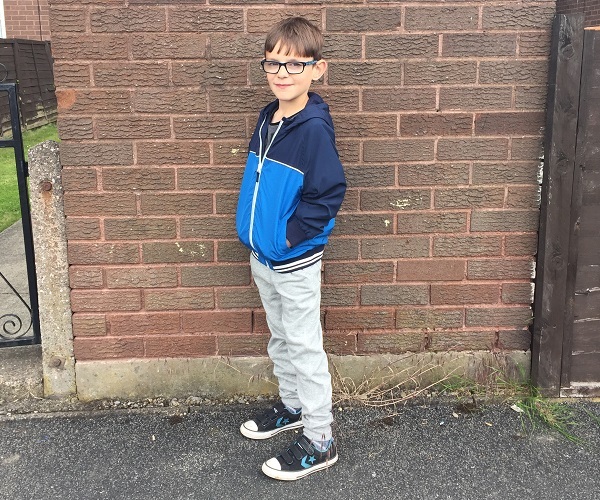 It is thin so, although protective from the weather, it wont be too warm to wear in this varying weather that we get but it is waterproof which is a bonus. Bottoms are always a struggle when it comes to buying for Thomas as he has long legs. Luckily, these from Nutmeg are the perfect length for him and even leave some extra grow room in them so he'll be wearing them for a while to come too. 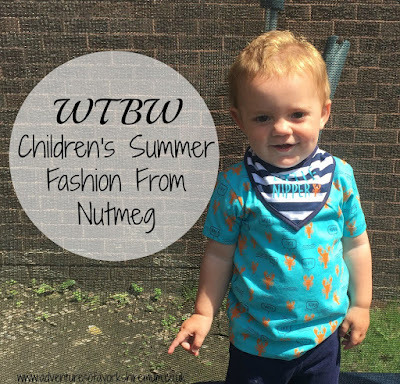 Overall, I love the quality and the detail of the Nutmeg children's clothing range, and the fact that there is so much choice too. 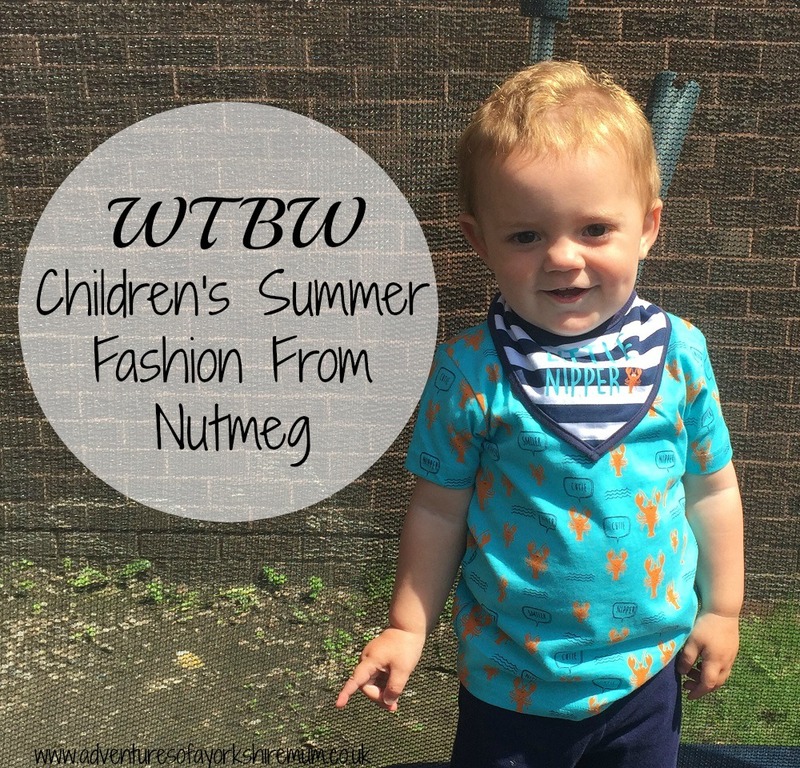 Check out the Nutmeg website to see their whole Summer range which is available now in Morrisons stores. Oh I love the boys outfits! That wigwam print is so different. I love a clothing range you can pick up in the supermarket as you can slyly add things to your food shop and your husband will never know! Such lovely boys outfits. Our Morrison's don't have a clothing section unfortunately. I really love Charlie's outfit combination definitely the sort of thing I love to put Blake in. worth a look but shame our nearest Morrisons is in Oxford! The designs and styles here are great!! What a cool brand. I'd say your boys love them!